The City of Boroondara is extremely disappointed by the Minister for Planning’s decision to introduce new planning regulations for residential aged care facilities. This decision will allow up to five-storey apartment-style buildings inconsistent with the established character. Boroondara Council is passionate about retaining the character of our neighbourhoods. Currently 79 per cent of residential zoned land in Boroondara is within the Neighbourhood Residential Zone and comprises one- and two-storey dwellings. These reforms will have the potential to significantly impact the valued character and the amenity of our residential neighbourhoods. The Minister has also approved 80 per cent site coverage, whereas the maximum site coverage for residential dwellings is 60 per cent. These decisions will enable bigger buildings and reduce opportunities for onsite landscaping. The Victorian Government has failed to provide any strategic justification for this amendment. There is no evidence to indicate a general shortfall in such accommodation. 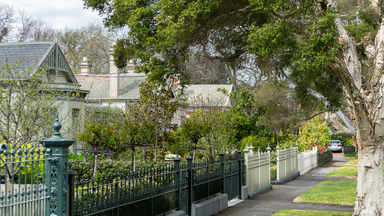 A quarter of our population is over 55 years old; however, from our recent Boroondara Community Plan consultation you clearly told us you want well-designed development that is appropriately located and does not negatively impact on established residential streets and valued neighbourhood character that should be protected. We know these sentiments are echoed in other municipalities. We are calling on the incoming Victorian Government to listen to their community and reassess these new planning controls. We know these sentiments are echoed in other municipalities and you have an opportunity to voice your concern by contacting your local members and candidates for the November state election.